I read this article and found it very interesting, thought it might be something for you. 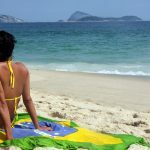 The article is called 15 Things to Know About Brazilian Visas and is located at http://trip-n-travel.com/23258/. Traveling to Brazil sometimes requires a visa whether you are visiting for tourism or business or you want to try and live and work there for a while or even permanently. The process does not need to be complicated if you inform yourself of the requirements beforehand. Below we try to simplify the steps required for certain visas. People traveling who are eligible for a tourist visa come under these classifications: Tourists, anyone visiting friends or relatives, any kind of participation (not paid) in a type of artistic or athletic event or competition or participation (not for money) in a seminar or conference of an academic nature. These last two require a letter explaining the situation. If you enter Brazil on this visa you are prohibited from working in any kind of way for income. Some countries issued this visa must ensure they arrive in Brazil within 90 days of the date it was issued.You may enter the country multiple times on a tourist visa. It is possible to apply for an extension for another 90 days if you do so with good time before the visa expires. You would apply for this visa if you intend to go to Brazil on business, to network and meet any other business contacts or to go to any kind of trade events or fairs. The visa is valid for up to 90 days also. If you wish to go to Brazil for a longer period of time to live and work, you must first have been offered employment by a Brazilian company or any foreign company based out of Brazil. This visa is a bit more complicated as the basis for the work visa requires certain level of qualifications (education) or work experience qualifying you for the position and therefore subsequently the visa. You must have no criminal record, pass a medical exam for your health and be able to show that you can survive in Brazil financially. If you are married and or have a family, the good news is once you are issued a work or temporary residence visa the visa is also extended to include your family. You should allow time for the processing to take place, probably between 2 to 3 months. Documents also must be translated into Portuguese. Permanent visas are available in an array of different categories. The type you might apply for depends on whether it is work related or perhaps it’s due to having got married. These kinds of visas are also open to retired people, people investing in business and all kinds of skilled workers and entrepreneurs. If you are already employed by a company and are applying for a transfer to live and work in Brazil for the same company you are able to get a permanent visa. This applies from administrators up to directors and CEOS of a business. If you are working in a start-up company you are also eligible for this visa and do not also have to meet certain other requirements. It is expected from larger corporations (like investing a certain sum of money into the Brazil based company) and also proving that their transfer to move to Brazil will provide benefits in some way to the country, either financially or in terms of productivity. Individuals wishing to invest money in Brazil may be eligible for this visa if they are going to invest at least $150,000 Brazilian dollars into a Brazilian business or corporation (it can be new or already existing). You will need to prove that you do not have any past criminal record. A visa for investors is issued at first for 3 years, after which you can apply to renew it, as long as there is proof of paid taxes, proof that job(s) have been created for Brazilian nationals and on confirmation that everything else is satisfactory in terms of the accomplishments set out by the company at first. You may retire to Brazil if you meet certain criteria for the permanent visa for retired people. If you are over 60 years old and have a pension of minimum $2000 a month (US dollars) that will be transferred to Brazil each month, you may receive a visa. If you have lived permanently in Brazil for four years continuously, you may apply to become a citizen with Brazilian nationality. Other requirements are to have a clean criminal record and the ability to communicate in Portuguese (reading and writing). If you have been in Brazil for longer than four years already, the process maybe more straightforward. For all visa applications you are generally expected to provide the following: Passport valid for at least 6 months, not damaged in any way and with free visa pages available. A photograph that follows the unique regulations for a visa. For visa applications beyond the tourist visa you will need a clean criminal record. If you are planning on applying for a more complicated visa for work, business, marriage or residency it’s prudent to consider the services of a lawyer and/or translator in order to make sure you have all documents correctly filled out and using language that is needed. It could save you time and money down the line at a smaller cost ahead of time. It’s important to remember when applying for a visa and planning your trip to Brazil that there are always small points you may miss. For example if you are traveling into Brazil by air but leaving by land (crossing the border by bus into Argentina for example) you would need to show proof of departure. This would not be as easy as showing your pre-booked departure flight, but it is simply reconciled with a form found online for those planning on leaving the country by land. These are the details that when planning ahead, will save you bags of time and any potential red tape headaches.